We execute Industrial Dairy Turnkey Project for clients in different states of India. These projects involve designing of the equipment and installation at clients. 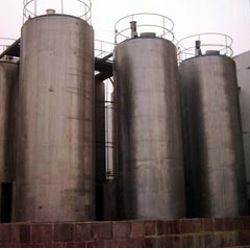 Process equipments, silos & storage tanks, reactors, reaction vessel for dairy, food, brewery, pharmaceutical etc. Pre-heaters, hoppers, sheet metal fabrication, pipe weldment, shell & tube heat exchangers. 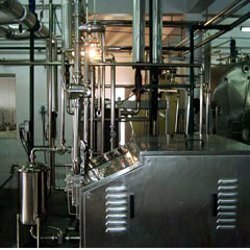 We have been involved in complete turnkey plants of various capacities for manufacture of market milk, cream, butter, ghee, pane-er, cheese, yoghurt. dahi, ice-cream from 10000 LPD to 100000 LPD. We also supply complete equipment for milk chilling cent-res at a very economical cost with capacities ranging from 5000 LPD to 50000 LPD. 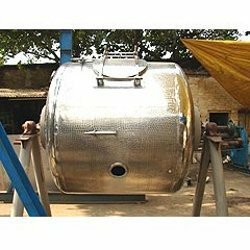 Open Type Bulk Cooler a quality conscious firm, we manufacture and export a wide range of bulk coolers that find their usage in the dairy industry. Durable in quality and superior in performance, these products also have a longer working life. 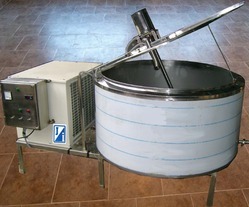 Our coolers are available in the capacity of 300 L to 10000 L with various configuration. We execute our Dairy PlantTurnkey Projects to our clients. 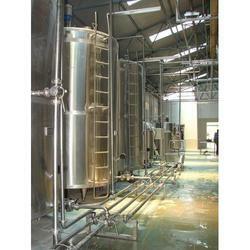 These plants include designing and fabrication of various equipment. We manufacture these equipment from high quality stainless steel conforming to SS 304, SS 316, SS 304 L, SS 316 L, SS 310, SA 213 and carbon steel conforming to SA -515, SA -516 or equivalent, IS-2062, SA -106 grade. We are one of the Pioneer to design & supply mini skid mounted diary plants from capacities of 500 LPD to 5000 LPD. The equipments are manufactured under the strict supervision of shop experts and engineers. We have supplied such diary plants with integrated milk products like yoghurt, cheese, butter, ghee as well as indigenous sweet meats like Khoa, Chhana, Peda, Sandesh, Rasagolla, Gulabjamun, misti doi etc. 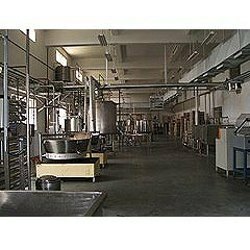 We have supplied, installed and commissioned complete plants for Yoghurt/Lassie, Gulabjamun, rassogolla, Peda, Pane-er with automatic packaging system. Closed Type Bulk Cooler ensuring better performance, the closed type bulk coolers available with us are durable in quality. These coolers are made from high quality stainless steel and are easy to clean. Installed in different dairy plants, these closed type bulk coolers are largely used and demanded by clients across the globe. We have a large number of clients in West Bengal and Andhra Pradesh. Our coolers are available in the capacity of 300L to 10000L with various configuration. 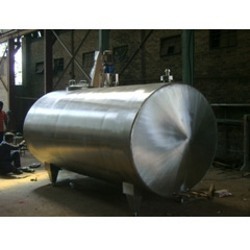 Stainless Steel Milk Storage Tank with automatic level indicator. Butter Churn of capacity 2000 L supplied to Samastipur Dairy, Bihar with electronic and VFD controls. Looking for Dairy Turnkey Projects ?